Week three of #clutterfree30 has been a success! 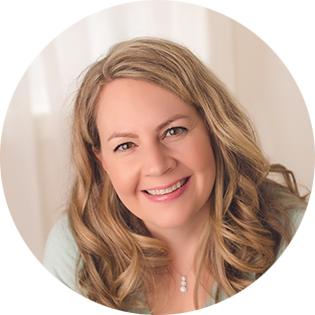 If you are just starting and need a little more info, go to this post. 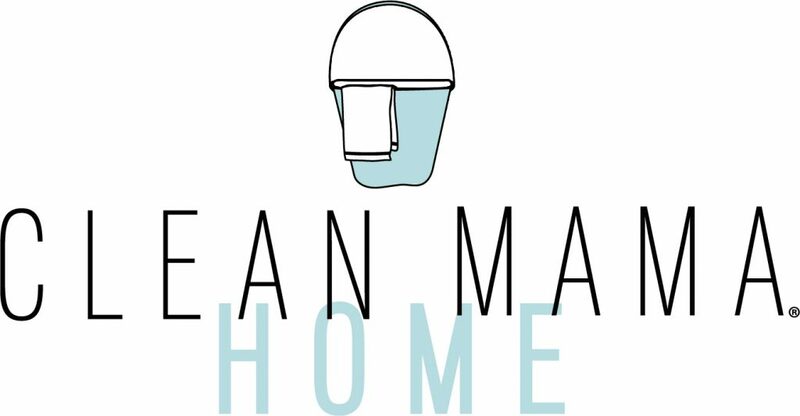 And if you need a reason to declutter, go to this post for 5 good ones. I hope your kitchen has seen some progress this week and that you are ready to keep going and finish strong! Check out these kitchen-related posts for more inspiration. I love the uniformity of Country Chic Cottage’s spice drawer. Easy to personalize with your favorite colors too! Small kitchen? No problem! 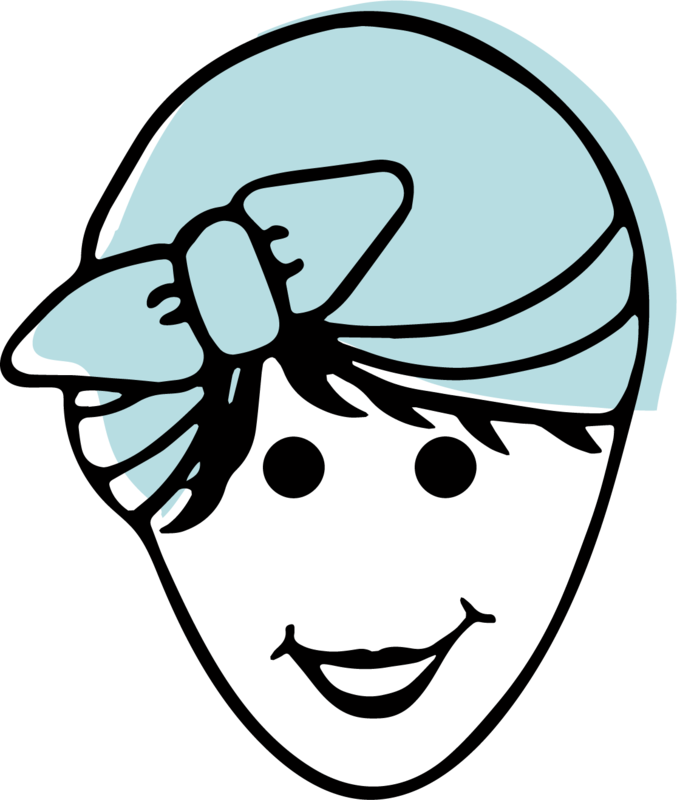 Shabby Creek Cottage makes use of every inch with her clutter free zone. 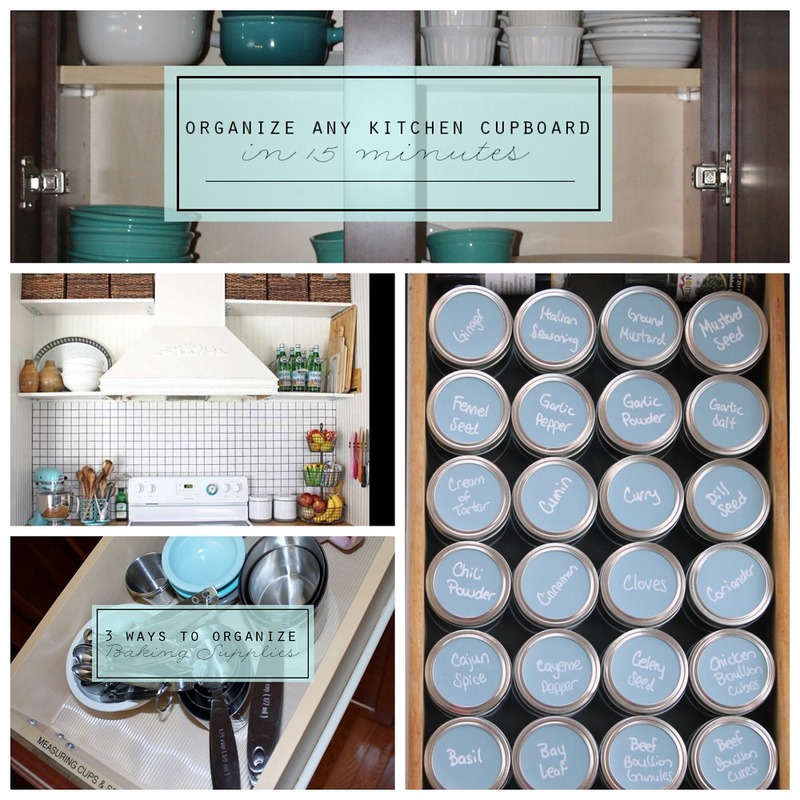 Check out this post with 10 tips for kitchen organizing! 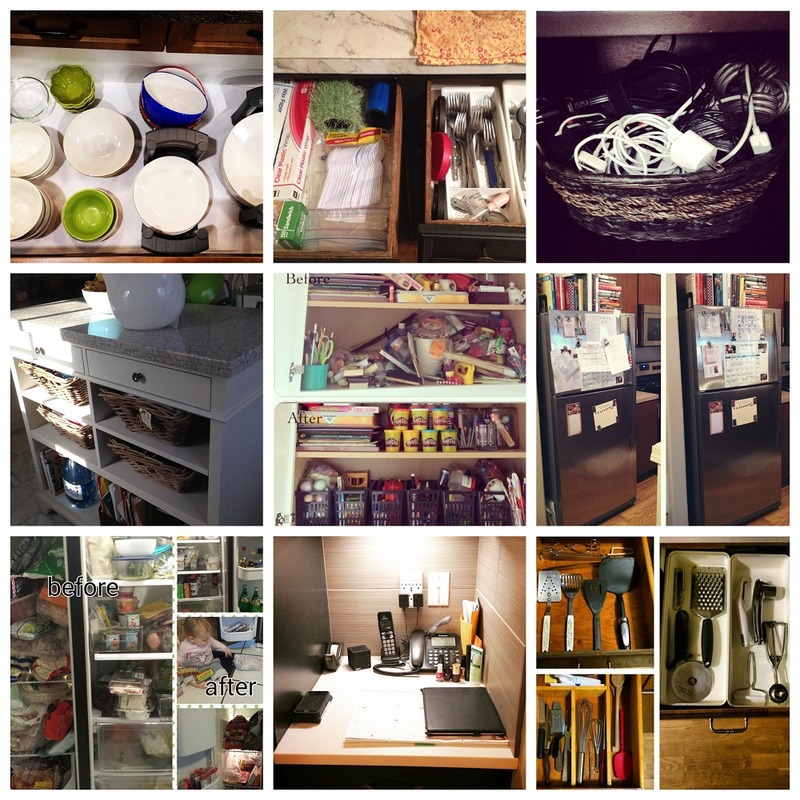 Check out these great pictures from this week on the #clutterfree30 hashtag! 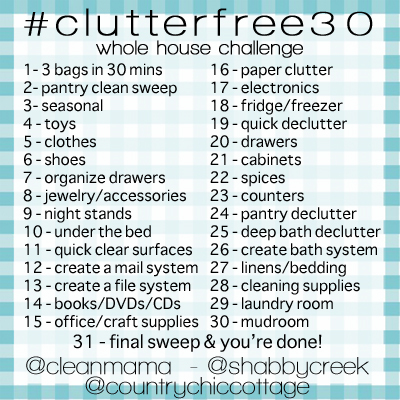 Follow along with the #clutterfree30 challenge on Instagram – you’ll love it!